avant garde design: monday & zieta. zieta describes this line in several ways, as "gastronomy garden seating" and "waiting area benches." the perforated texture is fun. 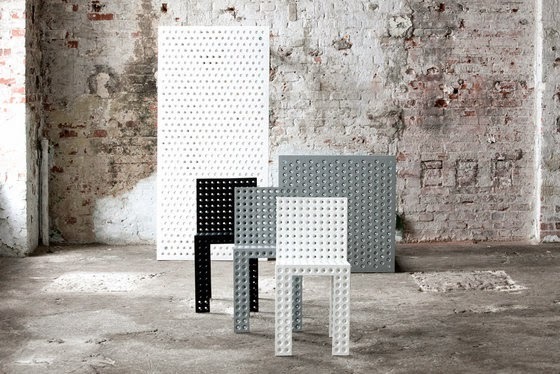 they are painted aluminum, with armrests or without. incorporating metal into your residential or commercial spaces adds interest. that industrial edge it brings can be satisfying in both environments. the texture here softens each piece and in white, even more. i'm thinking a cool office table, or bar stools. 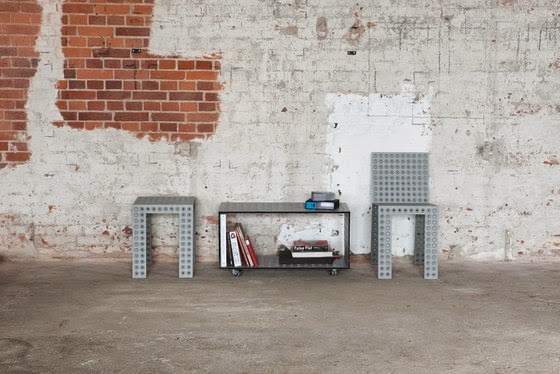 many of these pieces can be joined as well, converting one stool or bench into a modular, sculptural sectional. cool. very cool. enjoy!